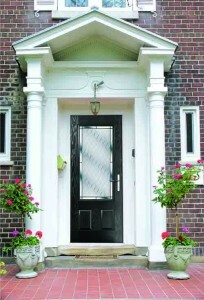 Our Composite Front Door is a combination of strength and beauty. Available in a vast selection of styles and colours, this door type is a favourite amongst our customers. The composite door has unlimited style combinations ranging from super modern to traditional timber. We manufacture these doors in house,the framework is fully reinforced to offer strength and rigidity, backed up by a heavy composite door slab finished in a GRP skin. Traditionally Composite doors are made with a white frame and coloured door, however we are seeing a change in trends and people are now choosing to be more adventurous with their colour combinations. 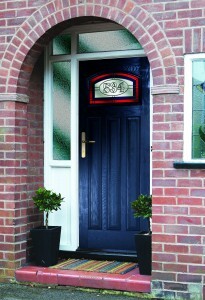 Moving with the times, we now offer our Composite doors in any bespoke colour, inside and out. 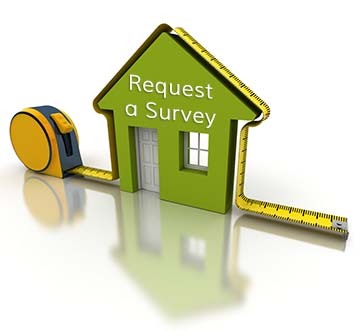 An important part of your Front Door is the base threshold, we can manufacture this using a traditional cill and frame, or alternatively we can use an aluminium low threshold to reduce the upstand and improve durability throughout the life of the door. A Disabled Part M threshold is also available throughout our Feature Door range. We use a high security ‘Maco’ multipoint door lock on our door sets with a vast range of handles and furniture available in a variety of finishes. We can incorporate stained glass, bevelled glass, leaded glass or any glass for that matter within our door designs so finding a door to suit your home will not be a problem. If you are looking for an Ultra Modern design, check out our new ‘Inox’ range of Composite doors, combining security with modern living. This range of door is brand new and looks great on any modern development.